The April 15th 2018 Hadleigh Community Group Spring Fete was held in and around HOFS, organised by Karen Knox and Kevin Foley. The fete opened to the public at 10:00 and finished at 16:00. The Hadleigh Old Fire Station car park was open from 08:30, tables and chairs were available to stall holders and a location plan was available on the day. Everyone needed to be packed up and gone by 18.00. As the car Park was used for larger stall displays (Garden buildings, Sheds & Furniture etc) all cars & vans were parked elsewhere during the event. Once unloaded, vehicles left by 09:15 so that outside stall holders had time to set up. Outcomes: The HCG reported: We sincerely hope everyone had a great and enjoyable day, helping the Hadleigh Community Group contribute towards their Town Centre Flower basket project and the 2018 Christmas Lights. 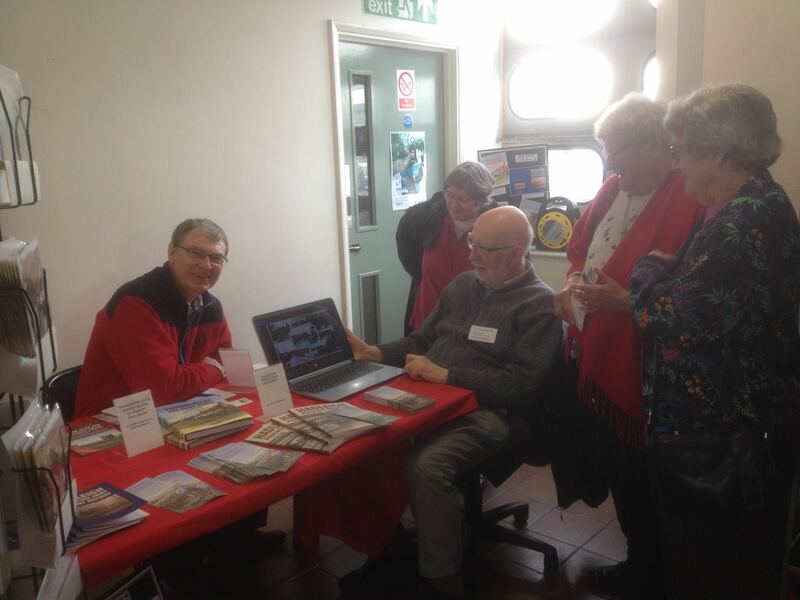 Here is one of the pictures of the Hadleigh & Thundersley Community Archive table during this event. "A very paradise for reformation..."